ANYTHING IS POSSIBLE is a masterful collection of stories involving sisters, a school janitor, a mother's happiness, and even the adult Lucy Barton. THIS COPY (shown below) was signed on the title page by Elizabeth Strout at her office. It is a new, unread first edition opened only for signing. Published in April, 2017 by Random House, an imprint of Penguin Random House. ELIZABETH STROUT (pictured below from our Wall of Fame) has a law degree, but fortunately for the readers of the world, decided to be a full time writer. Her books have been made into a mini-series and a movie. She is winner of the Pulitzer Prize. 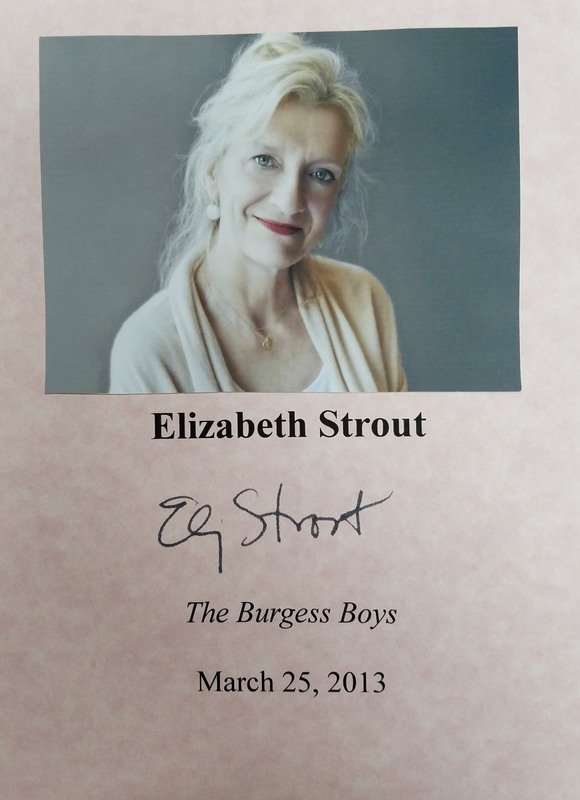 Thank you Elizabeth Strout for signing our books.